2). It is a solid, known only as a thermally unstable, insoluble white powder. The systematic name cadmium dihydride, a valid IUPAC name, is constructed according to the compositional nomenclature. Cadmium dihydride is also used to refer to the related molecular compound dihydridocadmium and its oligomers. Care should be taken to avoid confusing the two compounds. Cadmium hydride is also used as a compositional IUPAC name for the compound with the chemical formula CdH. 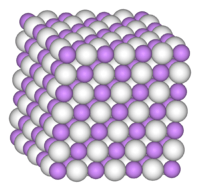 In 1950 a research group led by Glenn D. Barbaras, synthesized cadmium hydride for the first time. This reaction sequence consisted of demethylation of dimethylcadmium in diethyl ether at −78 °C, to cadmium hydride. 2]). It is a colorless gas that does not persist undiluted. It was produced by the gas phase reaction of excited cadmium atoms with dihydrogen, H2, and the structure determined high-resolution infrared emission spectra. The molecule is linear, with a bond length of 168.3 pm. The compound, Cs3CdH5, prepared by the reaction of caesium hydride, CsH, and cadmium metal powder at high temperature contains the CdH42− ion, along with caesium cations, Cs+, and hydride anions, H−. The tetrahedral anion is an example of an ionic complex of CdH2. The average Cd-H bond length in CdH42− is 182pm. 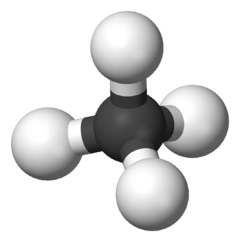 In gaseous dihydridocadmium, the molecules form groups (trimers), being connected by van der Waals forces. The dissociation enthalpy of the dimer is estimated at 8.8 kJ mol−1. 1 2 3 "NIOSH Pocket Guide to Chemical Hazards #0087". National Institute for Occupational Safety and Health (NIOSH). 1 2 Barbaras, Glenn D.; Dillard, Clyde; Finholt, A. E.; Wartik, Thomas; Wilzbach, K. E.; Schlesinger, Hermann I. (October 1951). "The Preparation of the Hydrides of Zinc, Cadmium, Beryllium, Magnesium and Lithium by the Use of Lithium Aluminum Hydride". Journal of the American Chemical Society. ACS Publications. 73 (10): 4585–4590. doi:10.1021/ja01154a025. 1 2 3 Wang, Xuefeng; Andrews, Lester (December 2004). "Infrared Spectra of Zn and Cd Hydride Molecules and Solids". The Journal of Physical Chemistry A. ACS Publications. 108 (50): 11006–11013. doi:10.1021/jp046414m. ↑ Shayesteh, Alireza; Yu, Shanshan; Bernath, Peter F. (2005). "Gaseous HgH2, CdH2, and ZnH2". Chemistry: A European Journal. 11 (16): 4709–4712. doi:10.1002/chem.200500332. ISSN 0947-6539. ↑ Bortz, M.; Gutmann, M.; Yvon, K. (1999). "Synthesis and structure determination of the first ternary cadmium hydride, Cs3CdH5". Journal of Alloys and Compounds. 285 (1-2): L19–L21. doi:10.1016/S0925-8388(99)00031-6. ISSN 0925-8388.